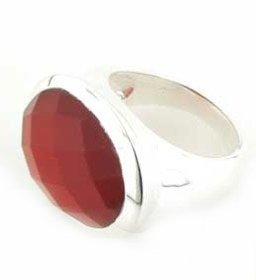 Red onyx makes a great dramatic ring. 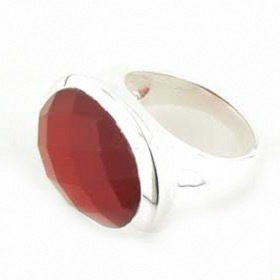 Our silver red onyx rings feature faceted red onyx stones and make a statement on your finger. 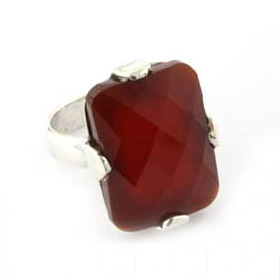 Here you'll find chunky red onyx rings sure to grab attention! 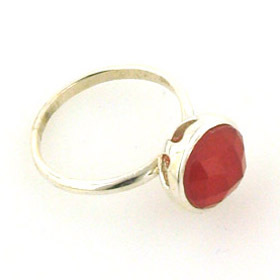 Red onyx is an opaque gemstone in a spicy red shade and suits dramatic jewellery.